A friend recently came to me about a potential problem, not an actual one. I let him know that his worry was nothing to lose sleep over and that he was overanalyzing the situation. I added that he should focus on actual problems going forward, along with being more mindful from one moment to the next; something that can be a tremendous asset in avoiding problems. After our call ended, I thought of a few things related to his issue that could potentially be pitfalls. I called him back and shared those with him. In retrospect, his initial call was timely as I may not have had the chance to relay my thoughts during our 2nd conversation; advice that will help him immensely in the future. He’s had several unsettling relationship issues occur in the past – times when I wish he would have consulted with me or a few other people before diving head on into the problem on his own. Fortunately, he was unscathed, although he was lucky more than once. When actual problems occur in the life of a friend or family member, especially in regards to relationships, I encourage them to stop, be mindful and think first of who won’t judge them and can offer solid and unbiased advice. In my experience, people become so worried about the future downside of a new problem and think that trying to fix the problem alone and immediately is the best solution. They run head first into solution mode with little thought to the outcome. That type of action can make the problem significantly worse. Whenever a problem has arisen in my life, I’ve found that it is best to display a calm energy, be mindful and think about who I can talk with before making any rash decisions. Usually, no problem is ever as bad as we think and more than often than not needs to be discussed first with someone you trust. The aforementioned friend is one of my dearest and I’ve learned as much from him as he has from me. It’s been a beautiful friendship. We have discussed numerous life issues when we spend time together but not so much since I’ve been in Sweden. I think he now knows that he can count on me to be that ear of wisdom, whenever his need arises. That's what friends are for. There really are no problems, truly only situations. 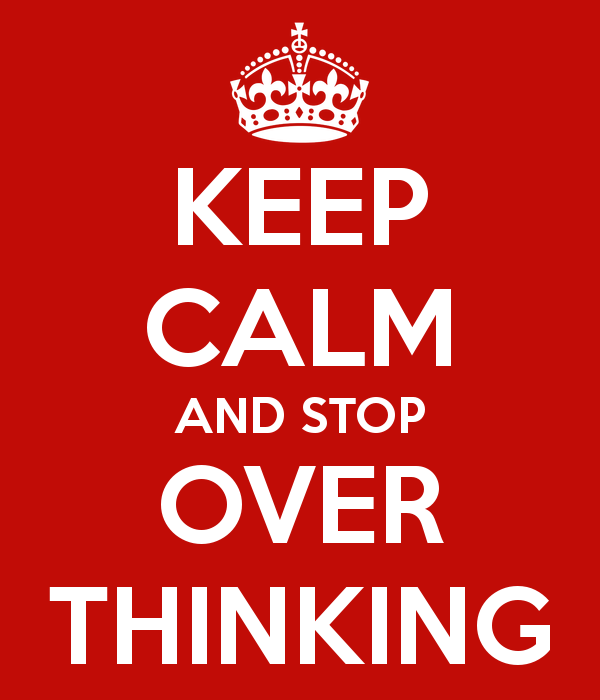 It is our over-thinking mind that brings in emotion, interprets a situation labels it as a problem. Accepting "what is" and living in the present moment, not regretful of the past or fearful of the future but grateful for right now is the key to life! Life brings us challenge, that is unavoidable, but that is also what makes us better and stronger when we overcome challenge. Problems are just an interpretation of a situation derived from ego.